Hope you all had a fabulous Christmas and best wishes to you all for 2012! Despite not working in the run up to Christmas this time around it still seemed to whiz past really quickly. I saw loads of family, had a trip to London, did some kniting, a bit of sewing and a whole lot of wrapping. Anyhow, I hope the season has treated you well and that you’v not gained 4lbs like I have! When I wrote a previous post about the mittens I was knitting as Christmas gifts I realised that I never posted about the first time that I knitted the pattern – shock horror!! I found the Pickles pattern through the ever fabulous Ravelry and decided to knit a pair for Emily back in early March when she was a couple of months old. I also knitted for the first time an i-cord. 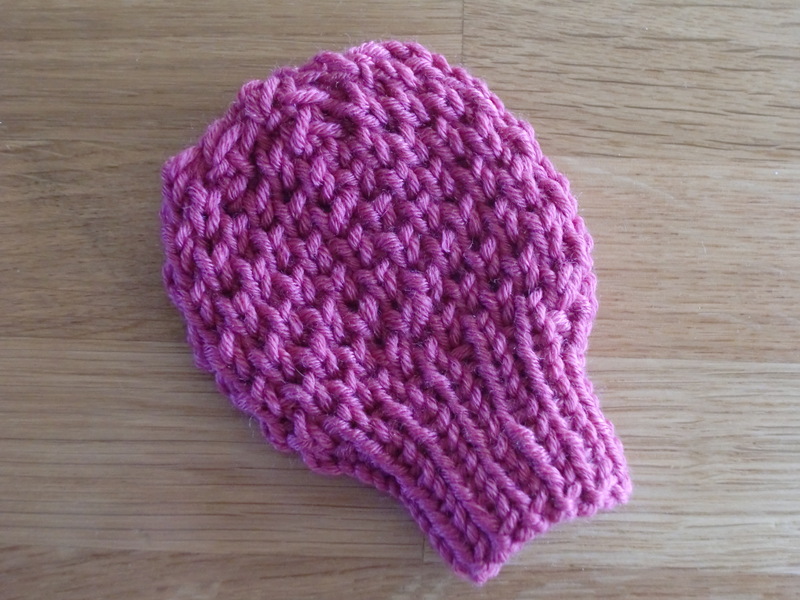 Looks fancy and complicated, but in actual fact is so quick and easy to knit. At the same time I knitted this little turban, which is also a Pickles pattern. 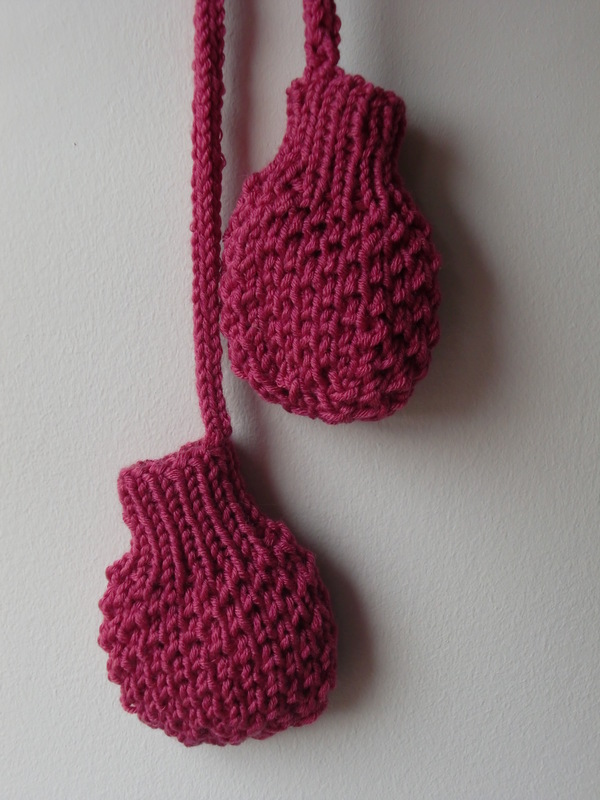 When you see the picture on the pattern, there is no way that you can resist knitting one! 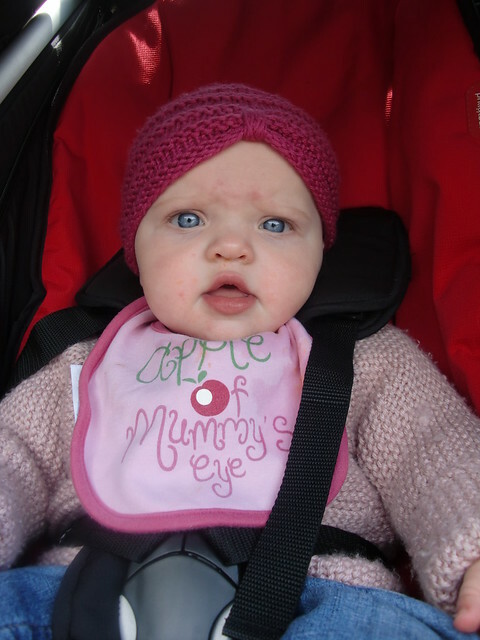 Emily is now 12 months and I am still squeezing her into the hat and mittens! Perhaps something belated for her 1st Birthday is in order?